From a blog that I have found very helpful on many levels. Suicide. It’s a topic that’s been on most of our minds as of late. 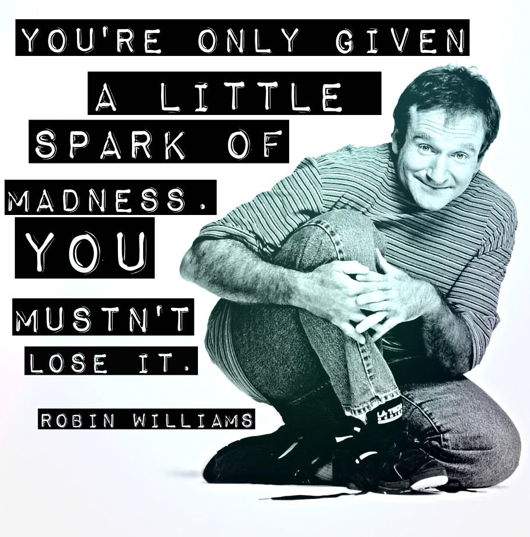 I was BROKEN when I found out about Robin Williams. It’s like this bright shining star just snuffed out, leaving only a black hole of crushing emptiness behind. I feel terrible for taking him for granted, selfishly assuming he’d always be around. I haven’t yet cried because I’m afraid I might not stop. My fondest childhood memories involve Mork & Mindy. Growing up, I’d watch Williams’ comedic acts over and over and over, studying his timing and how he could do what he did, because to me? It was MAGIC. In fact, I can honestly say he was my earliest mentor. I learned to laugh and make others laugh, and, since home and school were living nightmares, laughter was my lifeline. Hey! Romance Reads is featuring Warlords Honor today. This is one of the blogs I followed. Her posts are excellent, informative and well done. 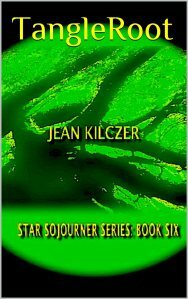 Today my new book TangleRoot, the sixth in the Star Sojourner series is out. TangleRoot, the sixth book in my Star Sojourner series, pits astrobiologist, telepath, adventurer, and all-around adorable nice guy Jules Rammis against some Mafia bad guys and a race of aliens that doesn’t like to share. But not to worry. Ever-faithful Vegan Huff, and Jules’ team is by his side, with crusty team leader Joe, Harlem-tough Chancey, and mild-mannered Southern medic Bat, all partaking in the adventure, and Jules’ love interest, exotic Sophia Rella, who just refuses to stay at home. Come along for the action-packed wild ride as Jules tackles “the family,” and Blackroot, an insidious alien plant/animal, known to the in-crowd as Bristra, that spreads like wildfire, munches people for snacks, but has some pretty spectacular properties that can endow humans with a very long lifespan.